With nature as inspiration, embark on a colouring adventure that will have you colouring outside the lines of your imagination in 100 templates! Let your inner child explore hidden beaches with vast views of the ocean; unwind as you colour in soaring palm trees; and create your ideal sunset with any colours you choose. 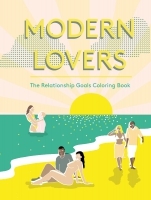 Colour inside the lines or make up your own - how you choose to relax and chill out is up to you! Learn to tap into your creativity and enjoy the experience of traveling to hidden paradise with your own two hands! 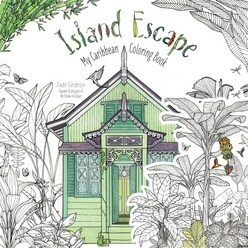 Let your mind relax from the stresses of modern life and escape to a world of tropical island drawings. Jade Gedeon's jewelry has been sold in Anthropologie and 900 other boutiques around the world and her paintings have been exhibited in Trinidad where she was raised. She will take you on a special and personal journey to her favourite places.